Bonn/Bogota, 12 June 2013 A new report  by the Global Forest Coalition  was launched at a side event on equity in climate mitigation policies organized by GenderCC at the climate talks in Bonn, Germany . The report highlights the serious negative impacts that the proposed new ‘bioeconomy’ and existing markets in ‘environmental services’ could have on women around the world. GFC: Thank you Madam chairperson for allowing me this opportunity to speak. We share concerns that REDD+ might not necessarily contribute to biodiversity and that the discussion should focus on preventing potential negative impacts of REDD+ on biodiversity, Indigenous Peoples, local communities and women. However, from an international legal point of view, we are well aware that any recommendations of this Convention to the UNFCCC can only be in the form of non-binding advice. We also share the concerns highlighted by the delegate of Bolivia and note that the REDD+ discussions are taking place in an FCCC working group that has not yet concluded its work, so the advice is rather premature, especially in the light of the current dire state the FCCC negotiations, which also has significant impacts as far as the expectations for financial support for REDD are concerned. It is highly unlikely that REDD+ will end up to be the gold-spinner it was originally assumed to be. In that light we are highly surprised by the unbalanced approach that has been taken towards the implementation of these decisions of the 10th COP of the CBD, and the implementation of the decisions that relate to forest policy in general. 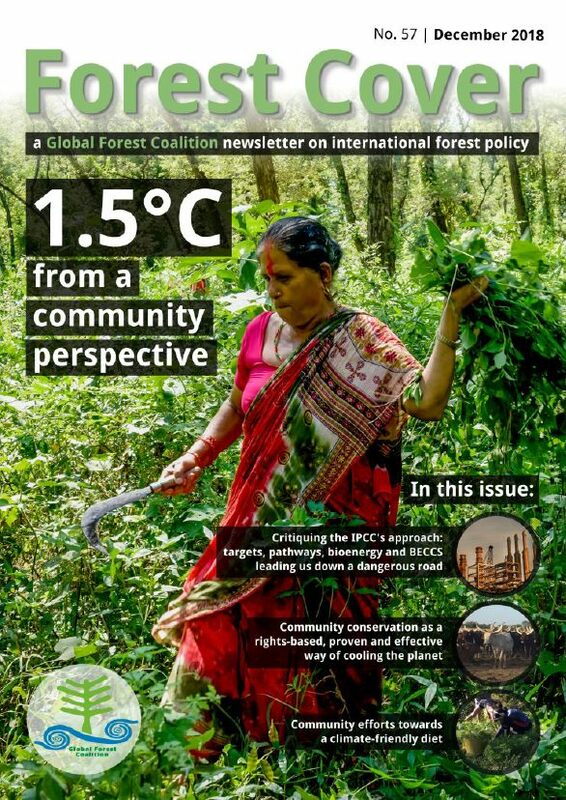 The draft decision on forest ecosystems has even been deleted from the package of draft decisions, and under agenda item 5.2 we only find a bracketed decision noting that the very important decisions of COP10 could not be implemented due to lack of funding. We see this as an indicator that the question of which COP decisions are being implemented and which not is more and more dependent on the willingness of donor countries and private sector donors to provide voluntary contributions, thus giving a disproportionate influence of these donors over biodiversity policy making. We fully support the observation by Brazil that forest policy is much more than REDD+, and we thus call upon countries to ensure sufficient financial resources for forest policy in general, including the expanded program of work on forest biodiversity of the CBD itself, and we hope this will be discussed on Thursday, when the CBD is expected to discuss its own forest work program. It is clear the secretariat needs sufficient core budget to be able to implement all COP decisions in a balanced manner, including in the field of forests, where we feel that implementation of the decisions of COP9 and COP10, including the decision to contribute to the elaboration of appropriate forest definition that excludes monoculture tree plantations, should be a first priority of the CBD. Synergy between conventions is highly important, but this requires integrated approach to the implementation of the CBDs expanded program of work on forest biodiversity and any other forest-related policies rather than providing non-binding advice to non-binding safeguards. Lastly, in the interest of time we would also like to briefly address agenda item 11.2 and express our support to the position of the CBD Alliance, which calls on Parties to Reaffirm and strengthen the de facto moratorium in 2010 by NOT permitting open-air geoeongineering experiments that impact biodiversity; and affirm that there is currently no transparent, global and effective regulatory structure for oversight of geoengineering activities, and the CBD is the appropriate body to oversee governance of geoengineering. Thousand solutions to climate change! The people create thousands of solutions to confront climate change! Thousands of Cancuns for climate justice! La Via Campesina calls on social movements and all people to mobilize around the world.